The past couple of weeks have been monumental for our entire network of schools, not only with the opening of BASIS Independent Fremont, but also with the opening of our east coast sister school, BASIS Independent McLean. It is times like this when we reflect on how powerful it is to be part of a network, and times like this when we more than ever turn to Vectors, the BASIS.ed news site bringing you fresh inspiration and insights from the depths and far reaches of the BASIS.ed community. Need a refresher on Vectors? 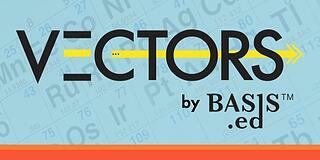 Vectors, a BASIS.ed news site, goes beyond the reaches of our school blog, Eureka! Fremont to provide to you a window into what it means to be united by these common threads. It is a window into what is going on in and around BASIS.ed-managed schools and students throughout the country (and world!). President Barack Obama named BASIS Scottsdale math teacher Marizza Bailey as a recipient of the 2016 Presidential Award for Excellence in Mathematics and Science Teaching. Selected by a panel of distinguished scientists, mathematicians, and educators, the PAEMSTs are awarded annually to recipients nationwide who are nominated by principals, fellow teachers, students and families, and community members. Six young scholars from BASIS International School Shenzhen will soon be enjoying a beautiful autumn… in New England. The six continent-hopping students are actually two teams of three students each from BASIS.ed’s first international school, in Shenzhen, which begins its second academic year on August 15th. They’re New England-bound – specifically, headed to the campus of Yale University in New Haven, Connecticut – because they qualified for the 2016 World Scholar’s Cup Tournament of Champions. “Unbounded Opportunity: Notes from Our Alumni” is a Vectors series in which teachers or school managers catch up with former students about their lives and choices after they graduate from BASIS.ed schools. If you’d like to interview a former student, or are an alumni and would like to participate, please email us at vectors@basised.com. Andrew Shabilla was a 6th grader when BASIS Scottsdale was founded in 2003, and attended 6th-8th grade at our second school; Diane Moser was his Head of School. Andrew then left the program in 2006 for one year, because the fledgling but thriving BASIS.ed Legacy School hadn’t yet opened its high school campus. When BASIS Scottsdale moved from its location at 90th Street and Via Linda to its longtime home (until this spring!) on 136th Street, and added high school grades, Andrew came back for 10th-12th grade, and graduated in 2010.